In 1961, a group of U.S. expats decided to celebrate the Fourth of July with an outdoor picnic. Costa Rica had a small but expanding Gringo community, and it wanted something private and fun, a way to celebrate the spirit of 1776 in the heart of their adopted country. They ate, they played games, and they proudly waved the Stars and Stripes. A half-century later, the annual Fourth of July Picnic is a beloved institution, and folks look forward to attending all year long. 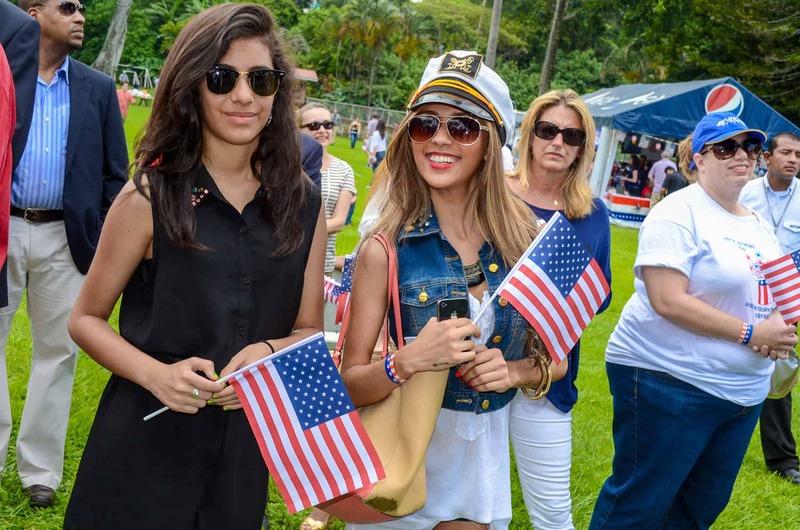 Organized by The American Colony Committee, the picnic is just like a county fair: You’ll find carnival rides, Tío Beto’s Petting Farm and a Nathan’s Famous hotdog stand. The J.R. Blues band will set the tone of the day, and cover band Mustang65 may play just about anything, from Eric Clapton to Stevie Ray Vaughn. Meanwhile, there will be cheerleading performances, clowns and enough frankfurters to stuff you until Labor Day. The bonus: A mechanical bull. You can expect about 3,500 guests this year, come rain and shine. Of course you can’t commemorate the Declaration of Independence without a little sober reflection, and the Fourth of July party is rich with ceremony. The United States Marine Corps will raise the U.S. flag, kids can learn the Pledge of Allegiance, and guests will get to hear the Costa Rica Symphonic Band play “The Star-Spangled Banner.” There will even be a reading of an Independence Day greeting from President Barack Obama. As many of us have discovered, there are tens of thousands of U.S. citizens in Costa Rica, but they often have trouble finding each other. 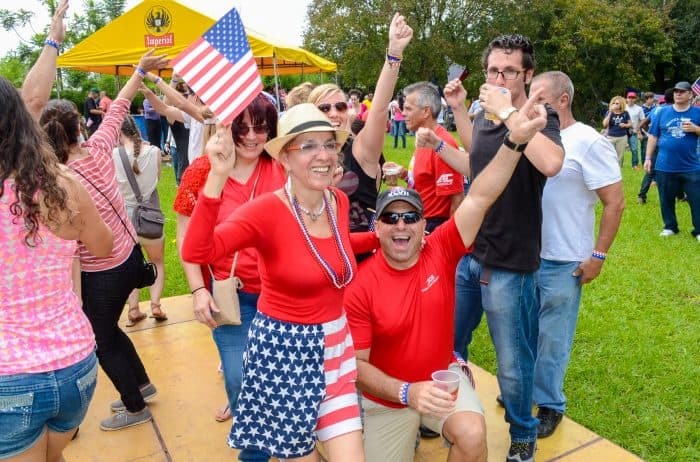 The picnic doubles as a gathering of U.S.-friendly clubs and organizations, including the North American-Costa Rican Cultural Center, The Veterans of Foreign Wars, The Little Theatre Group of Costa Rica and the United States Embassy. Learn about exciting community-building organizations like the Peace Corps and Access language program. If you’re feeling particularly civic, U.S. citizens can even register to vote! Once you’ve paid the $10 admission, everything else is free: food, rides, volleyball, U.S. flag face-painting – everything. Just remember that the event only goes from 9 a.m. to 1 p.m., so the earlier you arrive, the better. As always, bring your ID. Because the picnic is not a public event, organizers have long been firm about only U.S. citizens and their guests being admitted. (Think of it as a reverse-cédula). But this year, the American Colony is actively encouraging each guest to consider inviting one Costa Rican friend. Just remember, the rule still applies – U.S. citizens should accompany their guests. Okay, here’s the one hitch: Parking is going to be tough. Located near the airport, the Cervecería doesn’t have a public parking lot, and any car that’s parked on the access road will get towed. (No joke). Rest assured that parking will be available nearby, with shuttle service to and from the picnic. Visit the American Colony’s website for directions. The picnic is massive, and the event relies on more than 400 dedicated volunteers. It’s never too late to sign up! If you’re interested in helping out, give the American Colony at a call at 2288-4864, or send them an email at american_colony@yahoo.com. The picnic takes place July 4 at the Cervercería Nacional, near the Juan Santamaría International Airport, outside San José. Gates open from 9 a.m.–1 p.m., entrance costs ₡5,000 ($10). For more information, visit the American Colony website. CORRECTION: In a previous version of this article, the author incorrectly identified available foods and the number of non-U.S. guests invited. The Tico Times regrets these errors.